Divine Master - Fortune Telling :: sidetaker. First I would like to say you thank to choose me as an expert here. I am new at Live Person but I have my own practice and doing reading for many years. I shall also help in your career, new job, promotion in position, switch over, money, financial growth, dues and all your daily issues like property purchase, dispute matter, lost things. Sorry for all kind of gambling like horse number, lottery etc. If you feel any other sorrow, stress and bad situation in your life path you please come and discuss with me I will feel pleased to be your expert here. I am doing my astrology, psychic and tarot readings for my thousands of clients for 35 years. I also work as an expert online and my local shop and now am on this live person. 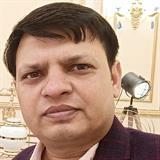 I have done many predictions for well known persons and also publish astrology newspaper. I have been attended many seminars and gave solutions and readings to many clients free of cost. I have God gifted powers and sixth sense light and intuitive skill as I shall guide. I do meditation, yoga and can make direct connection with angels and guide to all in your all life aspects. I will feel pleased to help you on Live Person and give you clear insight what your future holds for you. Thank you for all and choose me as your expert. Good start. When have more funds may delve deeper. Brilliant and honest as always ?? Thanks so much for the reading and insights today, Mr. Divine Master. I hope you are right and I look forward to the positive outcome soon! I appreciate your kind words and gifts! Crossed fingers I hope everything’s going to be fine. Felt I little relief though. Thanks master! Thank you for all the advice. I can always count on you for guidance and advice.